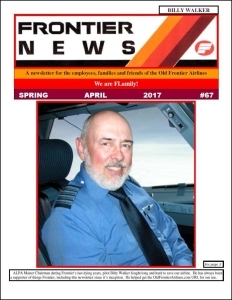 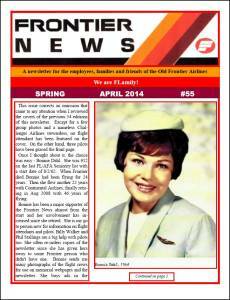 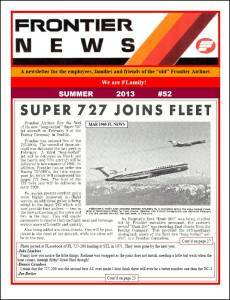 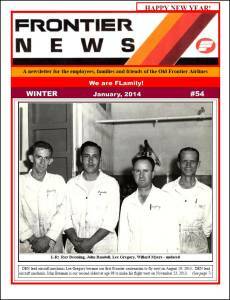 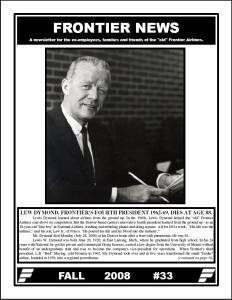 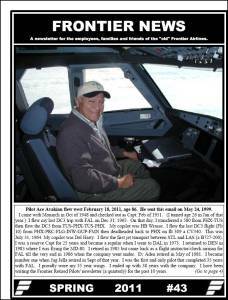 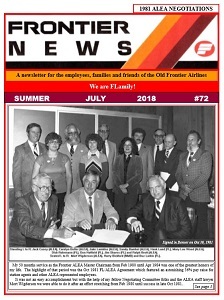 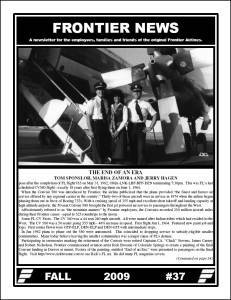 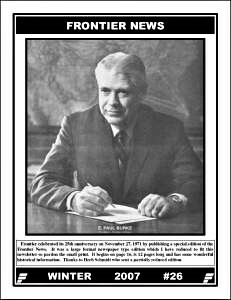 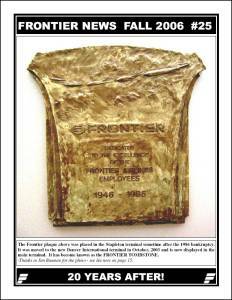 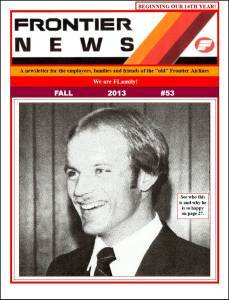 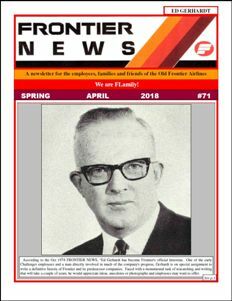 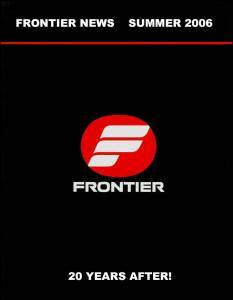 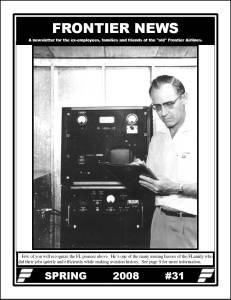 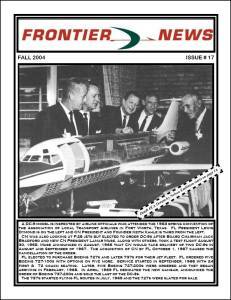 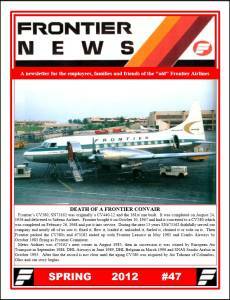 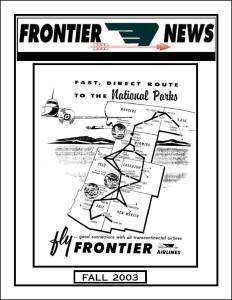 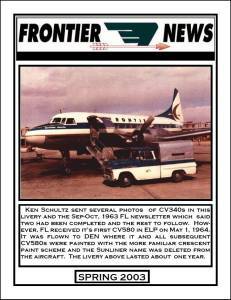 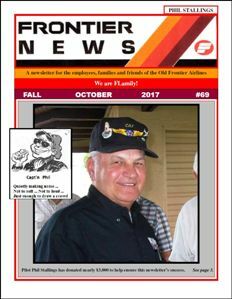 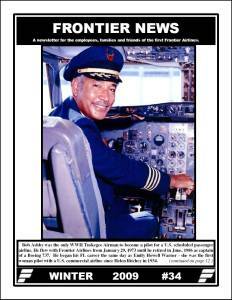 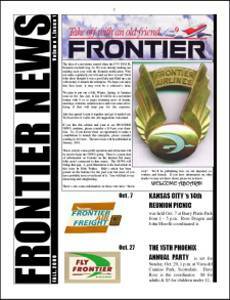 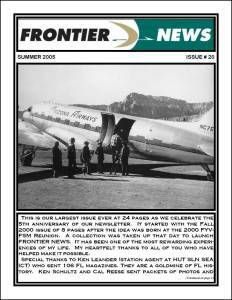 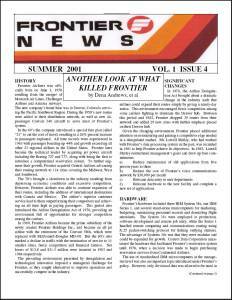 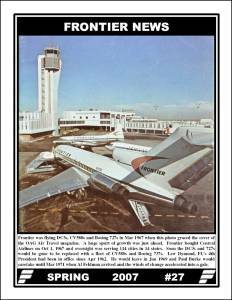 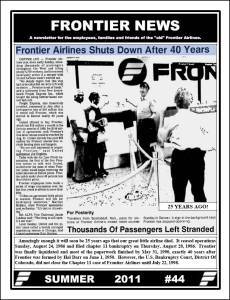 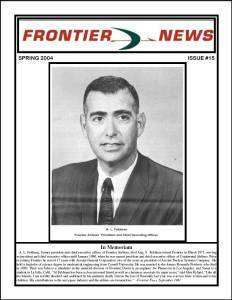 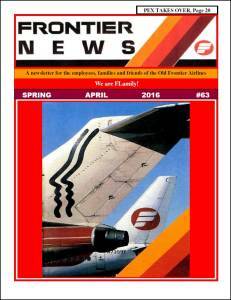 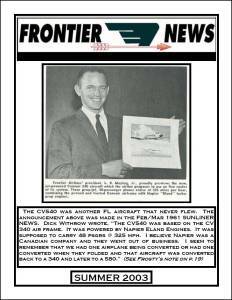 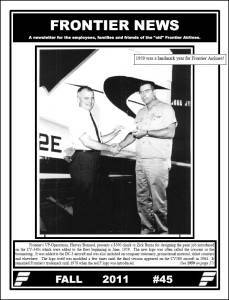 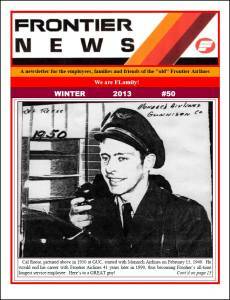 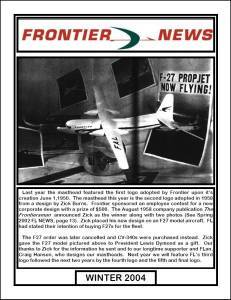 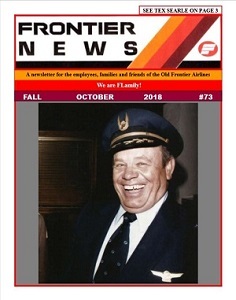 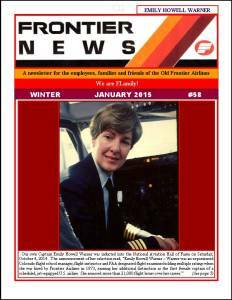 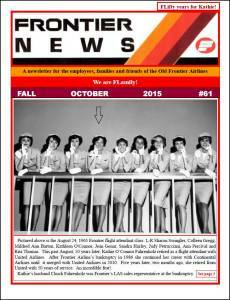 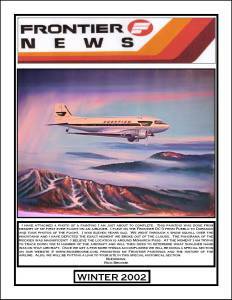 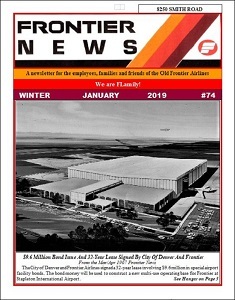 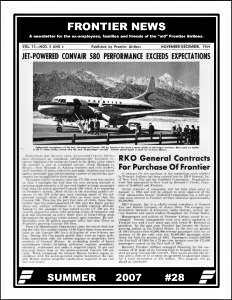 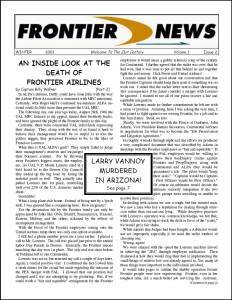 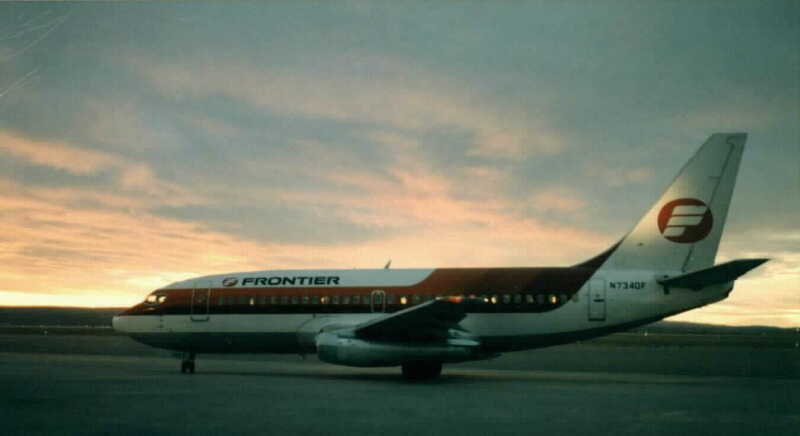 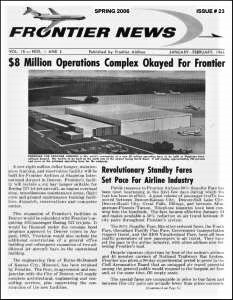 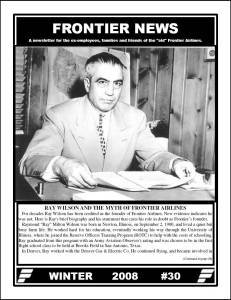 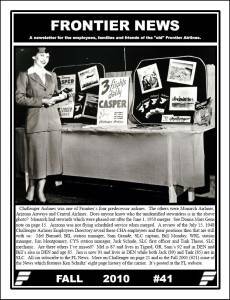 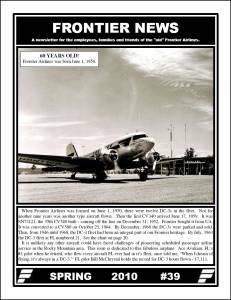 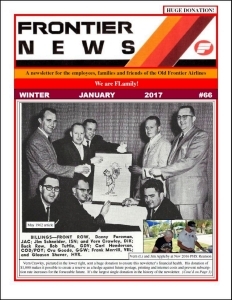 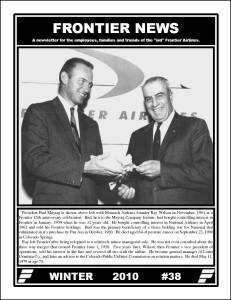 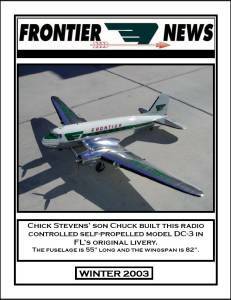 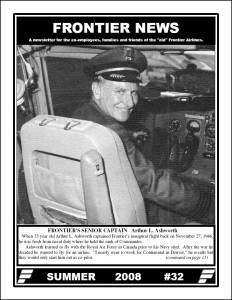 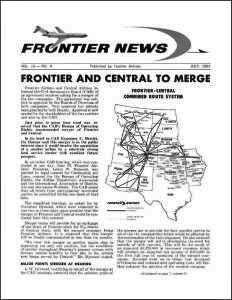 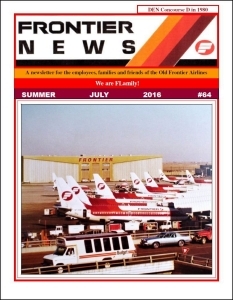 The FRONTIER NEWS is published quarterly and dedicated to ex-employees, friends, family and fans of the old Frontier Airlines which ceased operations on August 24, 1986. 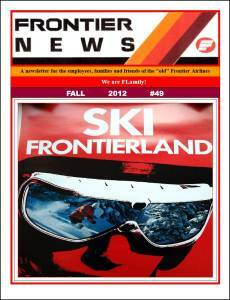 Publishing dates are October for Fall, January for Winter, April for Spring and July for Summer. 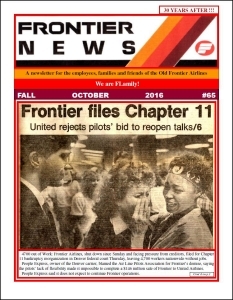 Articles and photos are welcomed and subject to editing and space requirements. 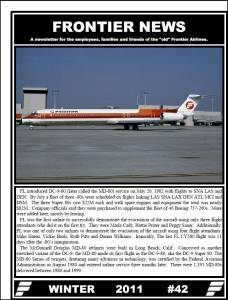 We cannot pay for such items but will give credit as appropriate. 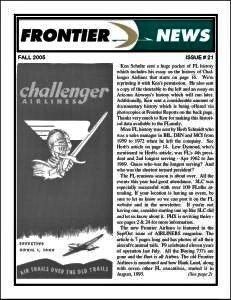 All submissions should deal with the old Frontier Airlines. 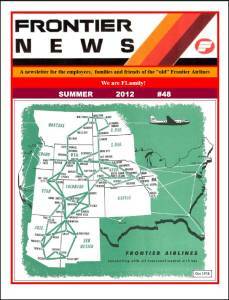 Especially welcomed are stories of personal experiences with a humorous slant. 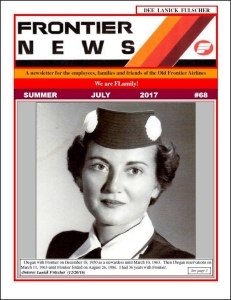 All airline employees have a treasure trove of such stories. 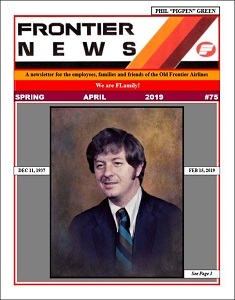 Please share them with the rest of the FLamily. 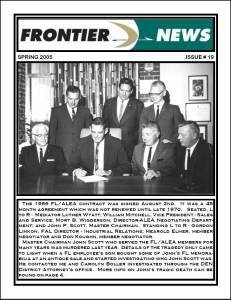 We also want to publicize ALL old Frontier gatherings. 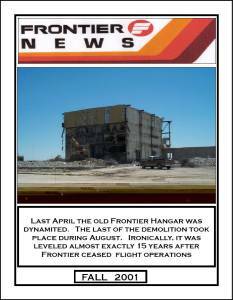 Be sure to notify us with details: place, date, contact and so forth. 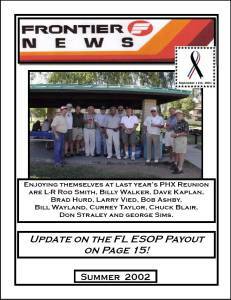 They will be published in the Reunion Timetable. 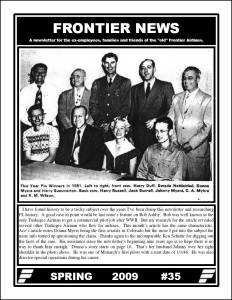 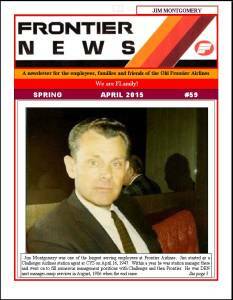 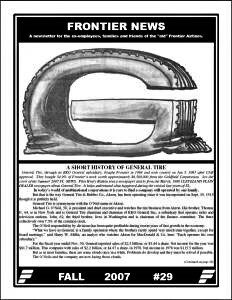 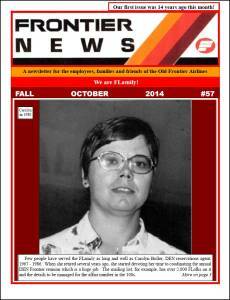 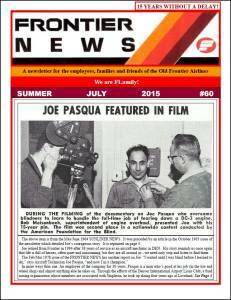 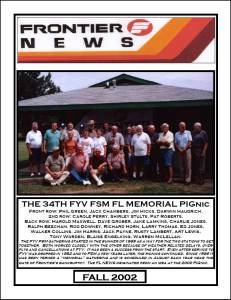 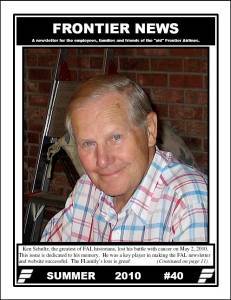 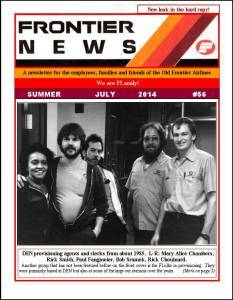 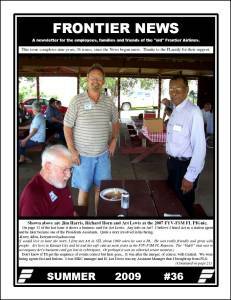 The newsletter began as an idea at the August, 2000, FYV-FSM FL Reunion. 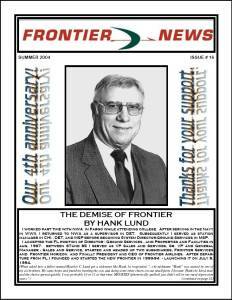 A collection was taken to finance the project and Jake Lamkins agreed to start a Frontier newsletter. 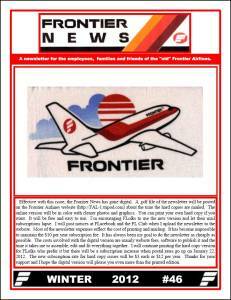 He set out to learn the mysteries of desktop publishing. 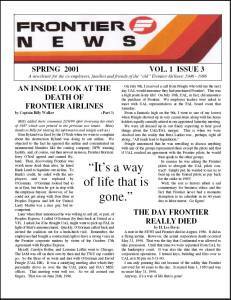 The first issue was eight pages long and by 2007 each issue was 28 pages. 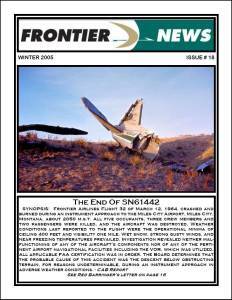 It has been edited and published quarterly by Jake since its inception. 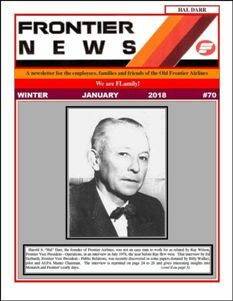 site:FAL-1.tripod.com/FL_News.html then one space and your search item. 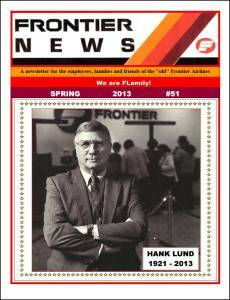 Focus your search by putting quotation marks on each end of your search term. 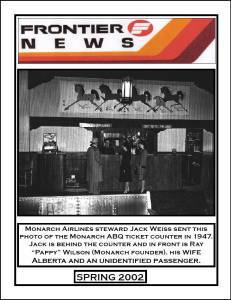 "Search"
Thanks to Craig Hansen for the logo at the top.